In this Halloween recipe we scare up something for EVERYONE at your Halloween gathering! 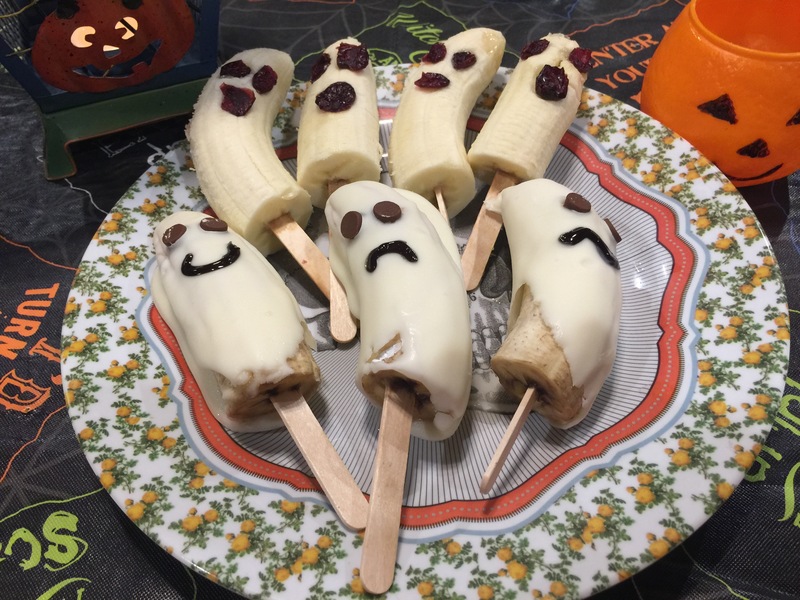 For those craving something healthy we make our Boo-Nana Ghosts with just the Banana and a dried fruit face! For those craving something sweeter we cover the Banana in delicious melted white chocolate and make the Ghost’s faces out of chocolate chips and decorating gel. Both are easy to make, delicious, and of course fun! Watch the video below and try it for yourself at your next Halloween party! Press raisins to make your Ghost face and enjoy! Add Chocolate chips for eyes and mouth. You can draw funny mouths with a gel decorating pen.